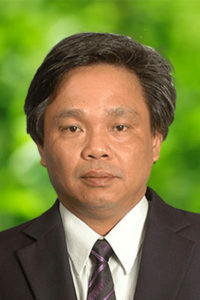 B.Eng., Chemical Engineering, 1992, HoChiMinh City University of Technology, Vietnam. The development of analytical models which aim at deriving exact/optimal or near optimal solutions for various operational problems in industries. The establishment of emergency inventory policies and inventory policies for perishable products. Supply chain design and measures of bullwhip effect in supply chains, availability-based and reliability-based maintenance. Statistical design of experiments; and network flows related problems. Saha, C., Luong, H.T., Azix, M.H., and Rattanalert, T. (2010). Simulation of the Air Flow Characteristic inside a Hard Disk Drive by applying a Computational Fluid Dynamics Software. Journal of World Academy of Science, Engineering and Technology, Vol. 72, 308-313. Kamolsin, P., Soni, P., Salokhe, V.M., Babel, M.S., and Luong, H.T. (2010). Physico-mechanical harvesting properties of hydrilla (Hydrilla verticillata) and pondweed (Potamogeton malaianus). International Agricultural Engineering Journal, Vol 19(4), 1-7. Senjuntichai, A., Techanitisawad, A, and Luong, H.T. (2010). The Analysis of Patent Option for RDA Project Valuation. Journal of Advanced Mechanical Design, Systems, and Manufacturing, Vol 4(3), 683-700. Luong, H.T., and Nagendra N. Nagarur (2005). Optimal Maintenance Policy and Fund Allocation in Water Distribution Networks. Journal of Water Resources Planning and Management, Vol. 131(4), pp 299-306.